With the debut of the Dart, Dodge returned to the compact sedan segment, a class it hadn't competed in since it offered the Neon. The Dart is based on the Alfa Romeo Giulietta, sold overseas by Chrysler (and Dodge) parent Fiat Chrysler Automobiles, and it looks to match the Hyundai Elantra and Ford Focus for style points. 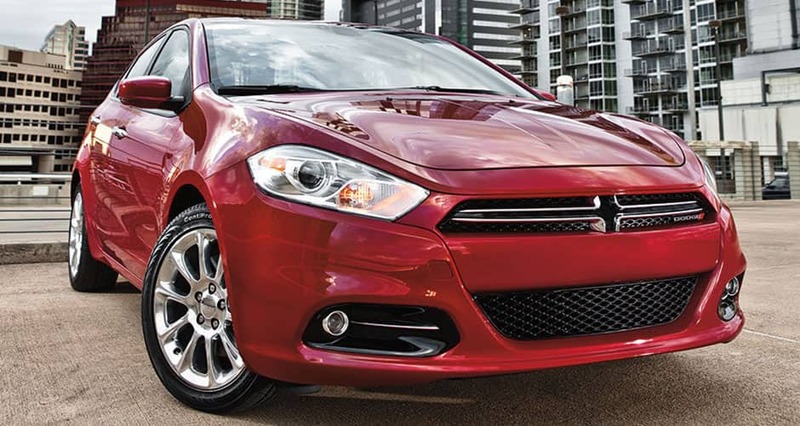 The Dart is a compact car with stunning good looks. Witness a performance-inspired exterior that gives a view of the available signature racetrack taillamp leaving the competition in the dust. 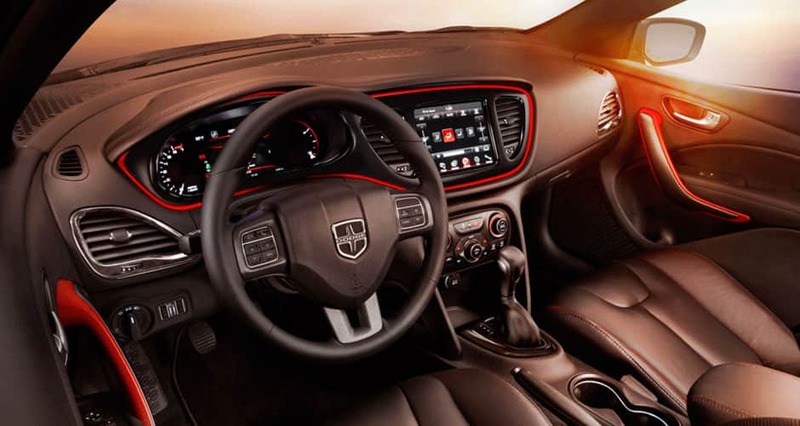 The Dodge Dart has Air conditioning, Bluetooth, cruise control and other equipment added to the SE model. This vehicle seats five, has cloth seats, a folding backseat, and 60/40-split folding backseat. Also available: auto-dimming rearview mirror, 7-inch screen in instrument panel can show vehicle information and radio settings, among other things, 8.4-inch touch-screen in middle of dashboard, navigation system, and a heated steering wheel. Dart's exterior includes 16-inch wheels; 17- or 18-inch wheels available, Grille styling varies by trim level, Rear window defroster, Available fog lights, heated side mirrors, LED taillights with available "racetrack" LED taillight surround, power sunroof, and dual exhaust tips. Required in every 2015 Dodge Dart are front airbags, antilock brakes and an electronic stability system. The Dart also has ten airbags, traction control, brake assist, occupant sensing airbag, available blind spot warning system with rear cross-path alert, backup camera, and rear parking sensors. For more information on this vehicle, feel free to give us a call today!